Leaving Monaco and back in France for a few kilometers heading for North West Italy; Liguria, Lombardy, Piedmont, Milan. 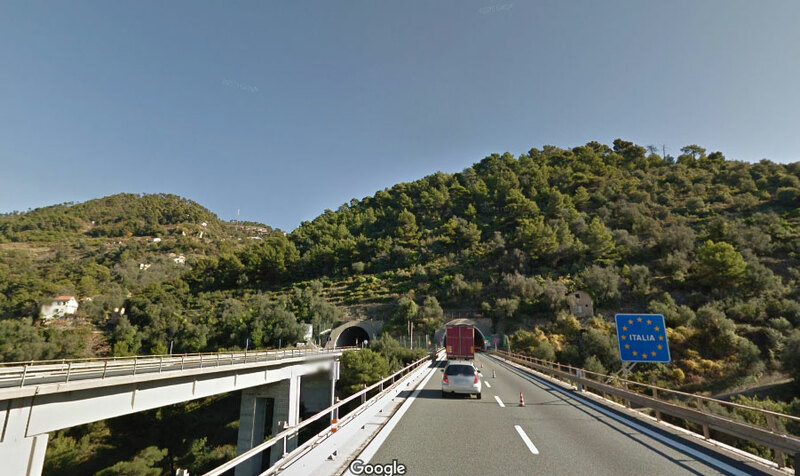 It’s a (theoretical) 30 minute drive either up into the hills behind Monte Carlo and Menton along the twisting narrow mountain roads James Bond so enjoyed as he made his entrance into Monaco racing a charming, beautiful, and possibly deadly woman who he would later meet in the casino. But I am still at home looking at Google Maps. Years ago I read a history of Monaco in Belfast City library. It was an old book and when it was written Princess Grace had only just arrived in the picture. The history and meaning of Monaco is an interesting story, one worth reading. As I “departed”, I picked up my next book. Not only am I taking an imaginary trip around the Mediterranean, I’m in search of music and more recently I’ve been looking out literature. “I Kill” by Giorgio Faletti is a 500+ page “whodunnit”. By coincidence rather than design, set in Monaco, featuring Radio Monte Carlo. A perfect bridge. Faletti is from Piedmont (again lucky coincidence). To research the music in the North West of Italy, I have been trawling through some wonderful, exciting and extraordinary music from other parts of the country. I find much of the music formal and I don’t usually expect formality in roots/ethno/folk music. Initially I had a longer list. Listening back I dropped five or six pieces, simply because I didn’t like them. Therefore the tribute I shall pay to this area will be short before heading toward west central Italy; Rome and Naples. The majority of bands are from Turin. Most of the music I dropped was from Piedmont. Like parts of Mediterranean Spain and France Piedmont is Occitan country, but I much preferred the music in the former two countries. There is one song here from Bologna which is sort of the middle of the Italy. Italy is about 200 Km from one side to the other. When we get to the North East, I’ll include more from Bologna, I expect. There are a couple of revolutionary folk songs from mid 20th century to add some perspective. The further south we go in Italy the more exciting the music becomes and more interesting the culture behind it, especially where there is a Greek dialect spoken. One thing I have learned for sure, Italian “reggae” is even worse than Spanish “reggae”. French rap is better than both. A note of Flags – there are lots to choose from, here as there doesn’t appear to be a unity flag of North West Italy. 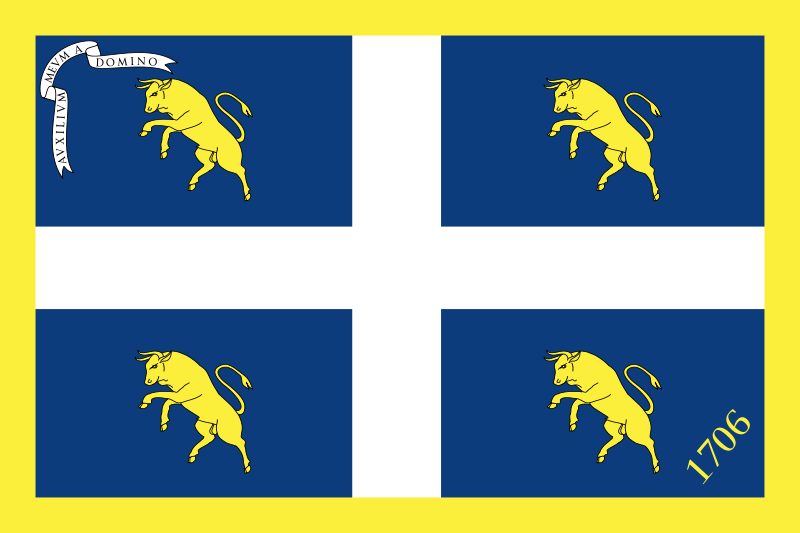 I’ve chosen the flag of Turin as the image on the home page … and here.